Every day, the nonprofit Core City Neighborhood bustles with a constant flow of residents, volunteers, and partnering organizations. 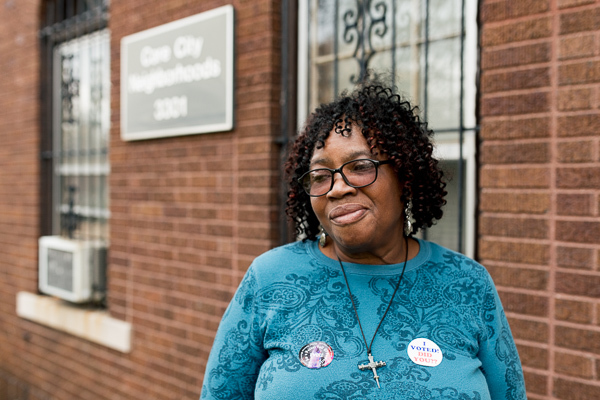 Lilly Skinner, an employee for Core City Neighborhood, directs every person and phone call with a tireless spirit. She's been living and working in Core City for over 50 years. "When God wants you to do something, it doesn't matter about the money. It doesn't matter about the time," says Skinner. 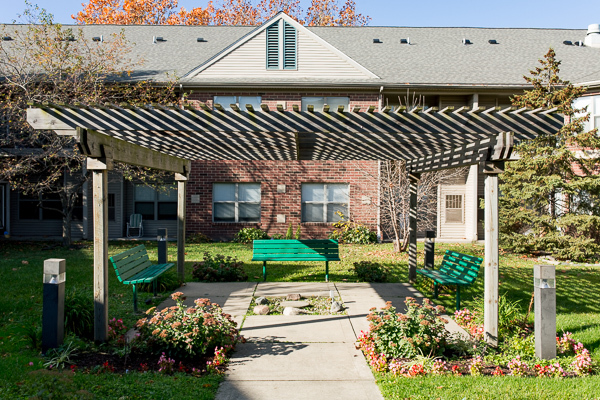 Started in 1984, Core City Neighborhood has largely focused on building dense affordable housing to meet the needs of residents in the approximately four square mile neighborhood. But lately, it's been a struggle to secure enough funding to keep up with demand. That does not stop both Skinner and executive director Willie Campbell from providing what the neighborhood needs. By also offering some wraparound services for serving a low income community, many look to Core City as an example of neighborhood stability with a supportive, close-knit community directly serving Detroit's low income population. "We offer after school programs to kids, donate toilet paper and other essentials to the schools, give away clothes, food, whatever people need because we care," says Skinner. "Block by block, we care." It's important for Skinner and other affordable housing communities in the city to lift up their successes now during the city's development boom. There are many common misconceptions about who lives in affordable housing and what impact those communities have on the neighborhoods, like loss of property value and increase in crime. The reality is that affordable housing often does the opposite—increasing stability, support, and mobility to a neighborhood and city. "People think affordable housing means crime," says Skinner. "Core City is beautiful. We really don't have many problems. We meet weekly as a community to talk about safety and security. This is what community looks like." According to the U.S. Department of Housing and Urban Development, affordable housing means the occupant is "paying no more than 30 percent of his or her income for gross housing costs, including utilities," however, local jurisdictions can determine their own definition. Extremely low-income (ELI) householders have incomes below 30 percent of their area median income. Housing units available for ELI renters have dropped significantly all across the country since 2000 while demand has only increased, according to the American Community Survey. In Wayne County, there were 48,069 units (54 per 100 households) available to the 88,945 ELI renter households. In 2013, that dropped to 25,458 (26 per 100 households) to an increased 99,699 ELI renter households. That is less than the national average of 28 units per 100 households. Most Detroit neighborhoods have a majority of low income residents. In 2015, Capital Impact Partners published the Inclusive Growth Report, which advocated for equitable development and mixed income density in order to create higher opportunity places over the long run in Detroit. The report revealed that 55 percent of households in greater downtown earn less than $25,000 with an overall 45 percent poverty rate in the district. "Despite recent rental market strengths and high demand for housing, these areas remains home to a majority of low-income households," says Bradford Frost, director of Capital Impact Partners' Detroit program. That's a significant residential population to maintain during the rapid increase in development projects in Downtown and Midtown. Midtown Detroit Inc. is starting to shift focus from their Live Midtown program that incentivized new residents to move to the neighborhood to now keeping housing affordable for current middle-income residents that do not qualify for affordable housing. With support from Capital Impact Partners, the Kresge Foundation, and the Ford Foundation, the Stay Midtown program recently launched as "a residential retention program targeted toward Midtown's working class population who may be experiencing the negative effects and inconveniences of Detroit's revitalization." Residents that meet federal housing cost burdens can apply to receive renter's assistance funding up to $4,500 over three years to deal with the rising cost of rent in Midtown. Community development organizations like Midtown Inc. and Core City Neighborhoods are proactively providing the support low and middle income residents need to stay afloat in a changing City. However, many in both the public and private sector believe it's time to focus on development policy that looks towards cultivating mixed income neighborhoods over the long term. "If we're serious about nurturing development that increases opportunity for all, we have to get comfortable stressing market growth as well as equitable development practices for disadvantaged and historically underserved populations," says Frost. For the last 15 years, Community Development Advocates of Detroit (CDAD) has been advocating for public policy reform around development, land use, and neighborhood stabilization. These policies have been developed based on the needs of their members—over 100 nonprofits, community-based organizations, and individuals. CDAD is working to address several issues currently dealing with affordable housing through work groups composed of members, technical service providers like University of Michigan, and state and local governments like Michigan State Housing Development Authority (MSHDA) and the Mayor's office. With support from LISC, one work group deals with identifying where affordable housing is in the city, preserving and restoring these buildings to prevent more blight, and working with the Mayor's office to make sure investments are being made where affordable housing already exists. "How do we preserve those projects that are not in the [revitalization] areas?" says LaToya Morgan, CDAD's Public Policy manager. "How can we work with the City to make sure affordable housing is where it needs to be and where desirable neighborhoods are?" Based on their members' needs, CDAD is also working on a strategic policy framework for equitable development, transparency, and the role of community engagement in the development process such as community benefits agreements. "Equitable development is something we value as Detroit moves forward," she says. "It's important to continue to raise the question about equitable development—what does that look like and what's the value to this city when we have so many people that are low income? How do we make sure it's inclusive to residents of Detroit and that residents are seen as a valuable part of developing Detroit?" Advocacy for equitable development is not falling on deaf ears at the city level. Since the beginning of his term, Mayor Mike Duggan's administration has committed to working with developers that receive public funding on a "case by case basis" to ensure that at least 20 percent of housing is affordable. For example, Bedrock is currently working out a deal with the City that would reach that benchmark for new units being developed—about 270 out of 1,350 units, spread across new projects in Downtown, Brush Park, and Eastern Market. While it's certainly a start, this deal would not be legally binding. It would also allow Bedrock to concentrate affordable units in one development, which limits the potential for neighborhoods to be truly mixed-income. The Inclusive Growth Report's research showed that the healthiest neighborhoods actually avoid "high concentrations of extremes (wealth or poverty) and that lower income populations generally benefit more from proximity to middle-income households than high-income households." Many officials at the city level are excited about the new housing developments, but worried about the increased price to live in those units, and are taking action to address these concerns in a legally binding way. Council Member Mary Sheffield is proposing an Inclusive Housing Ordinance that would make the 20 percent goal actually a legally enforceable requirement "designed to make sure Detroit doesn't make the mistake of creating an exclusively wealthy area of the city perceived as off limits by the not-quite-as-wealthy." The ordinance, which is expected to be discussed by the City Council soon, would be one step forward in ensuring the city's policies are inviting neighborhood development to recognize and include those Detroiters that have stayed and persevered during extreme times. 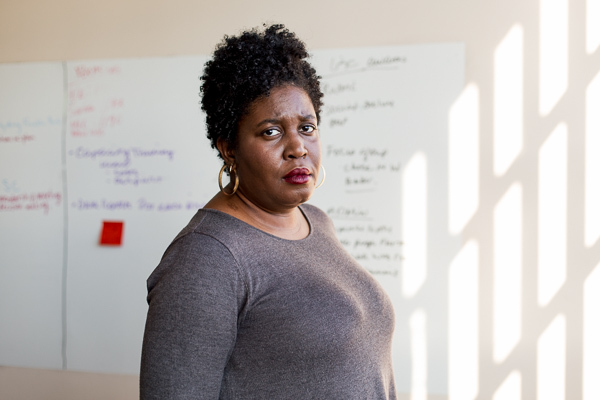 "In the next few years, we must codify at a neighborhood scale meaningful and effective approaches for equal access to Detroit's highest opportunity places across the income spectrum," says Frost. "We must think about inclusive growth as an economic diversification strategy, a process for securing equity for African American households, and a mobility strategy for all that choose to stay or come to the to build their lives in Detroit." This piece is inspired by and dedicated to Bradford Frost and his commitment to advocating for every Detroiter having a seat at the table.